IQS Directory provides an extensive list of expansion bolt manufacturers and suppliers. Utilize our website to review and source expansion bolt manufacturers with our easy-to-use features which allow you to locate expansion bolt companies that will design, engineer, and manufacture expansion bolts for your exact specifications. Our request for quote forms make it easy to connect with leading expansion bolt manufacturers. View company profiles, website links, locations, phone number, product videos, customer reviews, product specific news articles and other production information. We are a leading manufacturer directory who will connect you with the right manufacturers whether you are looking for specialty expansion bolts, expansion bolt weights, or expansion bolt fasteners. We are your one-stop shop for bolts and fastener needs. No matter what you need, we can find it or make it just for you. Want customized expansion bolts? We can easily make that happen. No matter what you need, we will work our hardest to meet your request. Our products offer superior quality and innovation thanks to our dedication to our jobs. Contact us today to learn more! Expansion bolts are one of the many top of the line products that we work rigorously to make for you, our dedicated and loyal customer! We attribute our success to our customers and we strive to ensure that we have unmatched products when it comes to quality. We have an outstanding and proven track record with high-quality products. We make sure that we devote extra attention to the design process and the way that they are developed. For more information, call us today! Even though we have been in business for 30 years, we constantly update our technology and manufacturing methods every day! We have the most creative and innovative manufacturing methods that we use to come up with better designs and products for our customers. Our expansion bolts are manufactured using the latest technology in the business. Find out how we can benefit you by calling us today! Expansion bolts are multi-component fasteners that expand upon installation to provide secure fastening in materials that do not permit reliable thread formation as is needed for other types of bolts. Materials such as concrete and brick are easily damaged by threaded screws and bolts as the treads strip the material rather than biting into it. Instead of creating cracks and crevices as other bolts do, expansion bolts fill these deformities, which improves aesthetics as well as strengthening the connection. 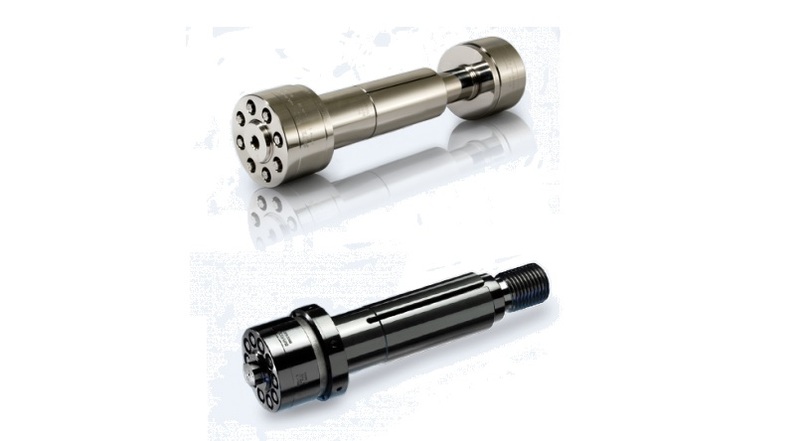 This allows the use of these bolts even in vibratory environments. This reliable anchor bolt can therefore be used in a wide variety of industries. Masonry walls, construction, turbines, motor couplings, gears, mining, seating and sign installation all use expansion bolts to avoid material damage while creating a firm bond. This bond offers an extreme carrying weight. A relatively small bolt, ¼” for example, can have a pullout weight of up to 2,700 pounds. These carrying weights, measured in tonnage, provide the rating system for expansion bolt manufacturers and suppliers. Bolt length, diameter, materials and configuration should all be carefully considered with regards to the materials to be fastened. These materials should also be considered as poor quality concrete will crumble under such extreme weights no matter the type or class of bolt. Each bolt system has three basic parts, the bolt, nut and sleeve, which may be assembled in a number of configurations. In the bolt-lead sleeve-tapered nut set up the entire mechanism is inserted into a pre-drilled hole and the tapered nut is drawn back towards the head to compress and expand the lead sleeve. The bolt-lead sleeve-metal cone-nut functions in the same manner though the metal cone is driven into the sleeve causing expansion rather than the nut. The tapered bolt-lead sleeve-metal cone-nut configuration is similar in assembly although the tapered bolt is responsible for expansion rather than the nut or the metal cone. In any assemblage the bolt, nut and cone, if present, are made of steel alloys which offer strength and corrosion resistance. Cadmium and zinc plating are common finishes for bolts that may face continual exposure to water and other environmental elements. While each of these components is integral to the bolt design, the lead sleeve is the crucial element of the expansion bolt. Lead is a malleable substance. When compressed it easily fills the drilled spaces as well as any surrounding cracks or pores. This creates multiple points of attachment while minimizing the risk of cracking or shattering the anchoring material. Expansion Bolts - Nord-Lock/Superbolt, Inc.